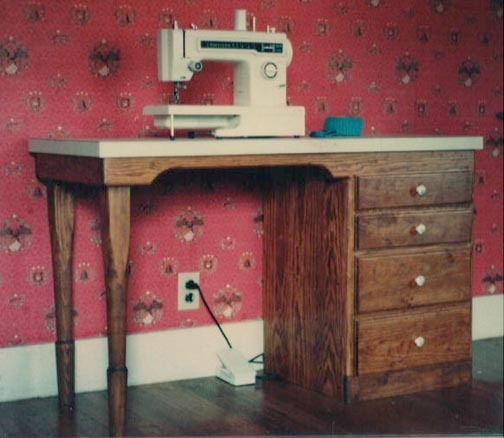 Free Sewing Table plans - Of course it's simple enough to alter to your own specs, this is just what Patty wanted. It has a laminate top and ball bearing draw guides. The project requires basic knowledge of tablesaw and hand tools. This was one of my first lathe projects so the turning is quite simple. (my legs didn't come out exactly the same!) My table is made from solid pine (no plywood) but you could use cabinet grade plyfor the larger panels.